Live charting technology to help avoid collisions with whales? 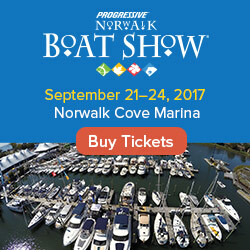 If you’ve followed the Daily Boater over the past couple of years, or checked out some of the local pages on FirstBoat.com, you may already know how cool we think EarthNC is. 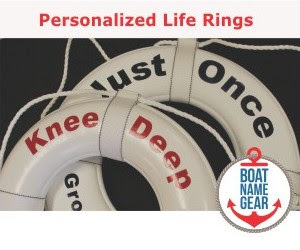 They are one of the best companies we’ve found for providing nautical charts online and on mobile devices. But after reading a post on Panbo – the Marine Electronics Weblog - earlier this week, we realized EarthNC may be even cooler than we thought! 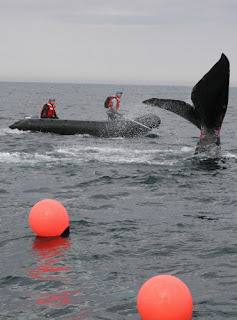 Panbo reported that they found out EarthNC has something in the works to help boaters avoid hitting whales. In Miami last month, EarthNC shared a version of their electronic charts for the Boston area that will contain near-real time data sent from acoustic listening buoys which are in place to protect the endangered North American right whales. Our neighbors in Massachusetts and Rhode Island temporarily host the few hundred remaining right whales when they migrate to the area each spring, and as we’ve reported (Daily Boater, April 2010 and Daily Boater, August 2010) it can be dangerous for both whales and boaters when the two cross paths. Not sure if EarthNC is extending this overlay to their charts to other areas where boaters and sea life collide, but we’ll check with them and let you know... stay tuned to the Daily Boater for an update on this technology.